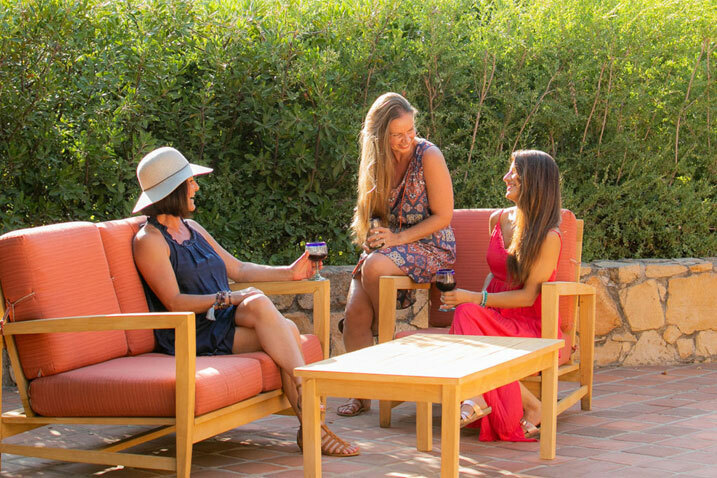 I am a chocolate addict, so you can imagine my glee when The Ranch announced its new Bean-to-Bar class in Tecate’s very own chocolate factory, Kajkab. “Kajkab” means “bitter juice” in the Mayan language and refers to cacao. If you think chocolate is pure pleasure, read on to learn about the details of this sweet class. Before the class began I met up with my fellow Bean-to-Bar classmates and our teacher, Diego Ceballos, Kajkab’s Maestro Chocolatero, in front of the Administration Building. We exchanged brief introductions and gathered in a Ranch van. Within one minute of leaving the property, we had arrived at the chocolate factory, where a delicious aroma warmly greeted us. The chocolate factory was intimate, impeccably clean, and full of shiny new equipment. Leslie, a chocolate maker, welcomed us and gave us hairnets. She then led us past bags filled with organic cacao beans, chocolate rounds, and empty chocolate boxes, and asked us to sit around the teaching area. In front of each student was a wooden clipboard with a white sheet of paper on it. We were giddy and eager for class to begin. Diego told us about his passionate history as a chocolate maker. 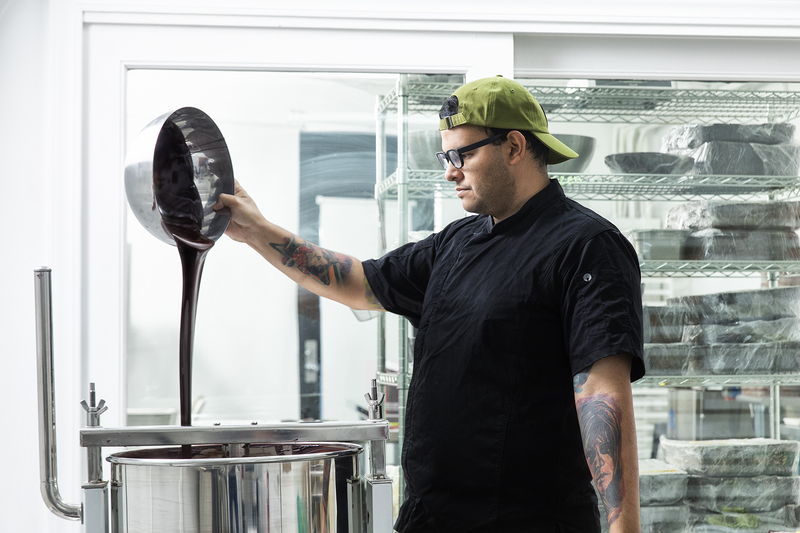 He has over 10 years of experience in chocolate making, and has worked at Cacao de Origen in Venezuela, Green Bean to Bar in Tokyo, and at Chocolat Chapon in Paris. Diego then took the class on a visual journey of how humble cacao beans are harvested, fermented, dried, aged, and roasted before being converted into divine chocolate bars. My favorite part of Diego’s presentation was the chocolate tasting. Like fine wines, chocolates have distinctive flavor profiles. Small pieces of chocolate were placed on our clipboards and were asked to identify the characteristics in each piece from a list of words like “bitter, waxy, spicy, and fruity.” My taste buds were only able to name a few of the flavors correctly. As the class indulged in chocolate, we were served a divine tea made from cacao bean husks. It was naturally delicious and perfectly complemented the class. Theobromine is a compound in cacao that doesn’t contain bromine as the name suggests, but is similar to caffeine in its actions in the body. It can raise the heart rate, act as a diuretic, and increase blood flow. [In small doses] theobromine is a regulator of inflammation and can also influence the amounts of glycogen and neurotransmitters in the body by preventing their rapid breakdown. Linda also told me about her chocolate philosophy: it’s healthy to eat about one ounce of dark chocolate a day if it has a concentration of 72% or more cacao. This ensures that the chocolate has the highest percent of antioxidants and the least amount of sugar. Chocolate contains antioxidants, called polyphenols. The polyphenols in cacao are called flavonoids and primarily help defend our cells from oxidative damage. Polyphenols also influence our gut bacteria, can help to lower blood pressure, and improve sensitivity to insulin to regulate blood sugar. So, Kajkab chocolates are not only delicious, but extremely healthy too. And now back to class. Diego invited students to help him with the chocolate making process – from heating the cacao and removing the husks to grinding the cacao. 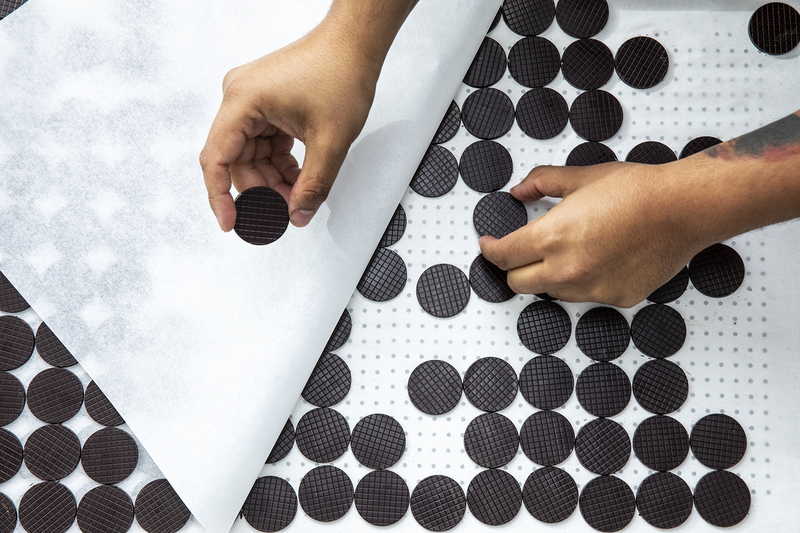 He then demonstrated how he makes thin round discs of heavenly chocolate, and passed out more samples. We left the class feeling happy and were pleasantly surprised when Leslie gifted us with cacao tea to take home. 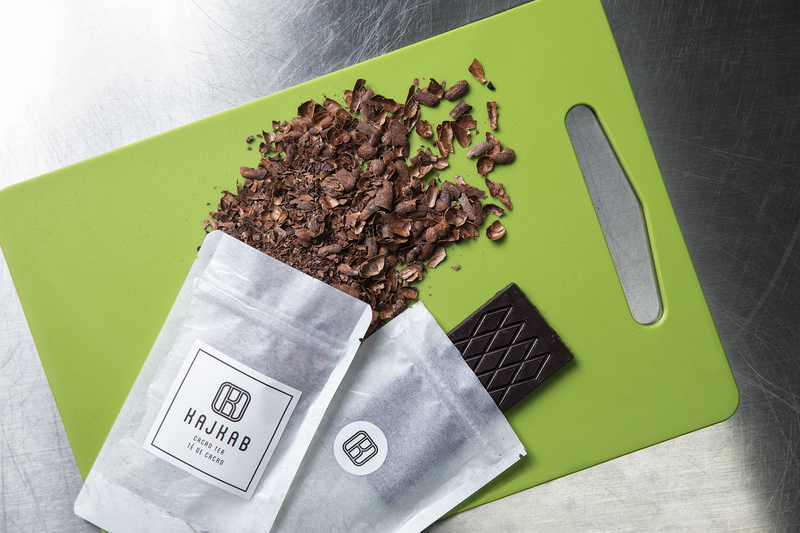 The Bean-to-Bar Chocolate Class is tasty, healthy and educational – what more could you ask for? I recommend signing up for this course when you book your Ranch visit. Space is limited to eight guests, and it is only offered twice a week. 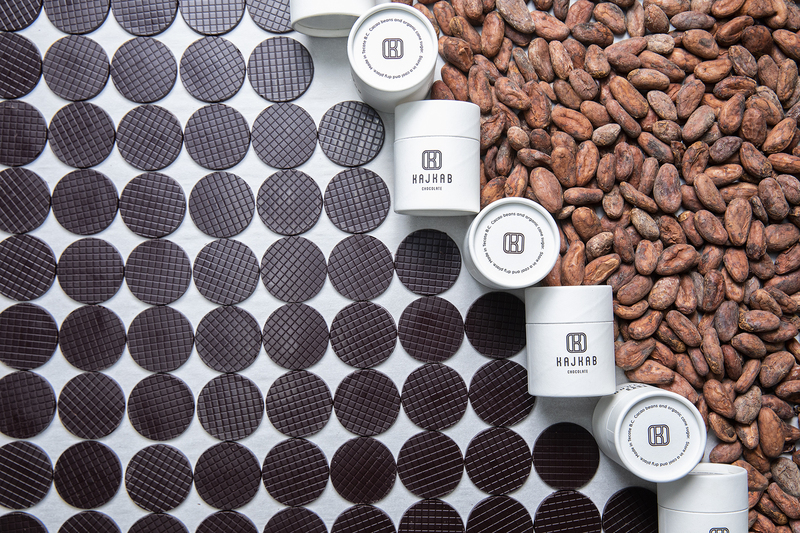 If you want to be extra decadent, take our popular 90-minute Xocolatl Skin Replenishment spa ritual on the same day as the Bean-to-Bar class. During this treatment, you’ll be rubbed down with delicious chocolate skincare such as our La Puerta Core Essentials™ Cocoa Body Oil. Last but not least, stop by the Mercado while you’re on property, and refill your chocolate stash. Enjoy! 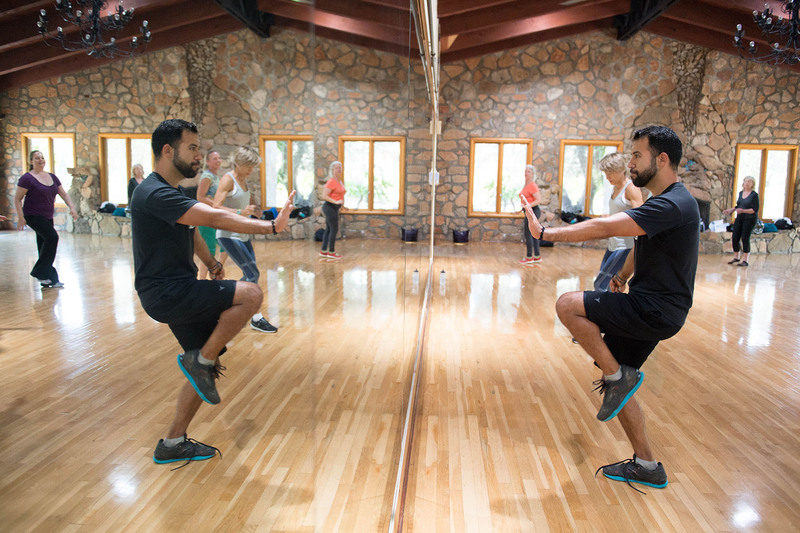 To reserve your class during your visit please email our Appointments Desk, appointments@rancholapuerta.com or see more of the wonderful classes and presenters we offer.